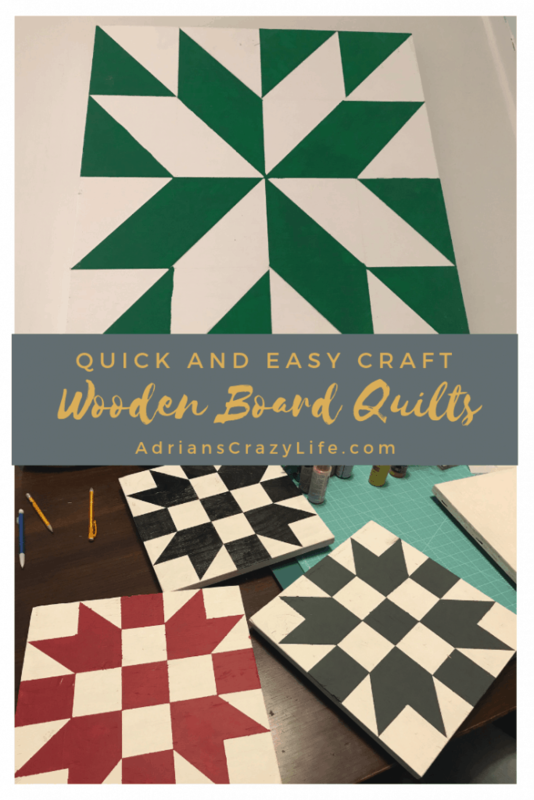 These wooden board quilts are such a quick and easy craft for the less-crafty folks like me. If you’re time-challenged and not terribly artistic, this is a great type of craft to get into. It’s one of those fun crafts you can put together in just a few hours. 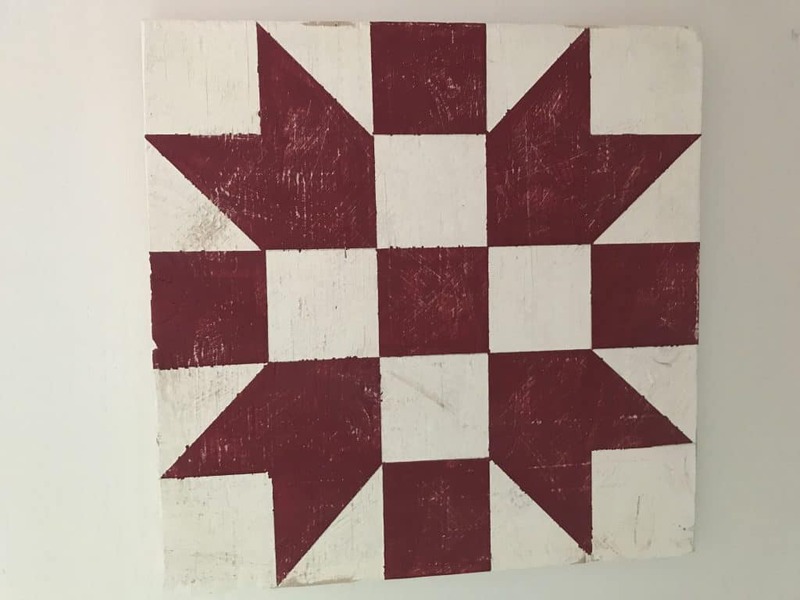 Evidently, full-sized quilt designs like these have been around for decades, but these smaller versions are a lot easier, if you don’t happen to have a barn in your backyard! 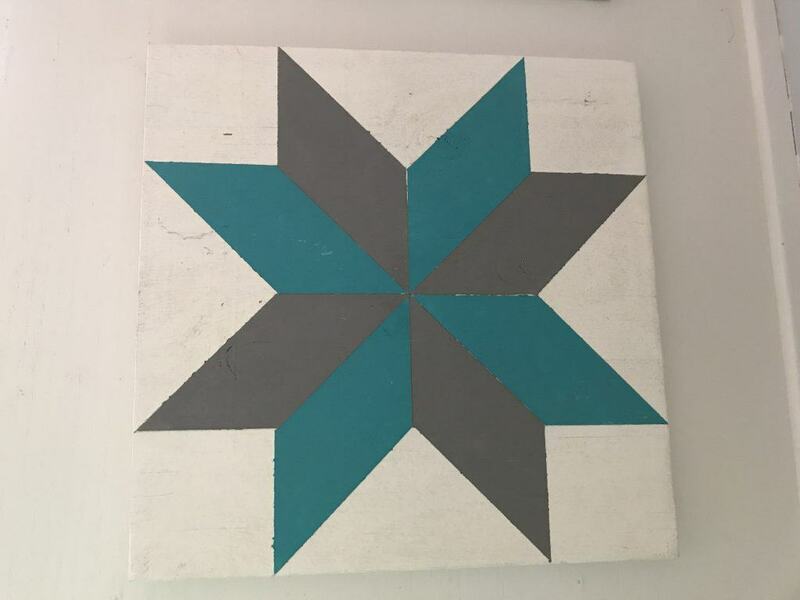 I actually learned how to make these wooden board quilts at a local crafters conference where they had some classes. 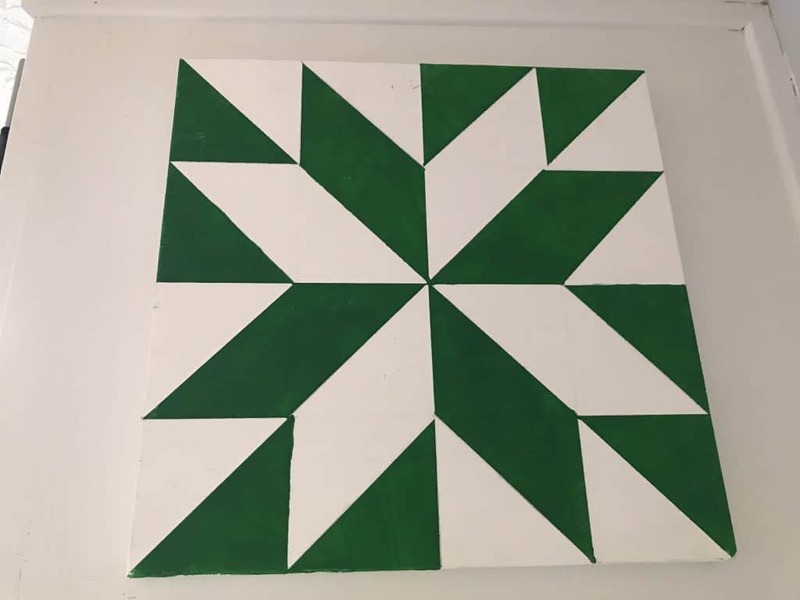 But then I got so excited about a craft I could actually DO, that I kind of branched out to some just traditional quilt designs that I pulled off Pinterest. 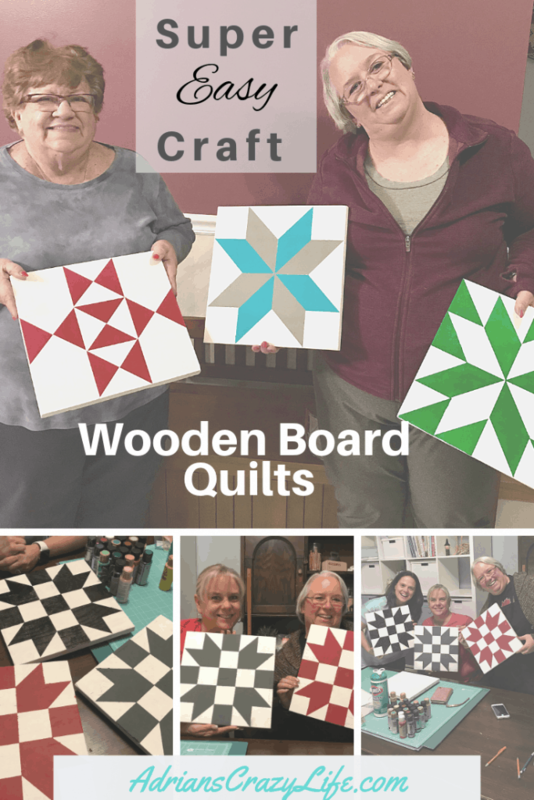 Then I started showing my friends how to make their own wooden board quilts. It made for a couple of fun ladies craft nights for us! In the interest of full disclosure, these are not my original designs or ideas. I’m not a great original designer, I’m barely able to make things using patterns. The original class and patterns I started with came from a company called Tweetle Dee Designs. But most of them were easy enough that I could just draw my own patterns on graph paper from traditional quilt designs. The supplies needed for these wooden board quilts are pretty basic. Prepping the boards – I rope my husband into this portion because he can measure and cut things much more precisely than I can ever do. Leftover scraps of 3/4″ plywood will do nicely. Just try to cut them to exactly 12″ squares. If you get the measurements off, it can mess up your patterns later on. Give the board a light sanding all over. A little texture adds interest to the project, but you don’t want to get splinters. It’s a good idea to attach the picture hangers to the back of them BEFORE you paint. Here’s where the pushpins come in handy. 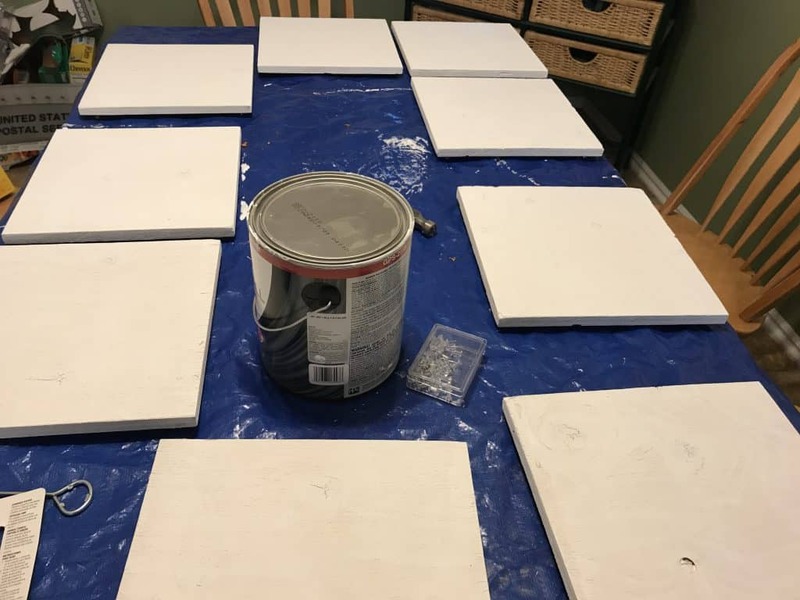 We learned on Pinterest to put them on the back of a board in the 4 corners like this when you’re painting them. It keeps the painted edges from sticking to the newspaper (or a blue tarp works dandy!) and makes them easy to handle. I leave them on through the whole process, because it’s helpful for the taping as well. All the ones I’ve done have had a white background, but tan or eggshell would look nice too. I generally do two coats of the white and let them dry about 10 minutes in between coats. Then I let them sit for an hour (or a week!) before I start painting. One coat lets a bit of the wood show through and makes for an interesting look, so experiment a bit. It’s an art project – be creative. Now comes the fun part – choosing your design. I just browse around on Pinterest for quilt designs or just quilt boards. There’s a TON of very pretty ones already out there. You want to find something that’s very geometric, preferably something you can measure in thirds or quarters. That makes it easier to lay out correctly. I usually lay my designs out on graph paper and then mark the colors clearly. It is VERY easy to put the wrong color in the wrong area, and that will spoil your whole project. So if you are easily confused or your design is complex, I’d also add little bits of post-it notes or masking tape to the board itself to help you keep your colors straight. I did a little sanding on this one to give it an aged look. See how I worked out the design by dividing it into 2-1/2″ blocks. If you look at it just one little block at a time, it’s easier to figure out. Picking the colors is the more creative part of this project. You can go with muted tones and simple, traditional two-color designs or you can go a little wilder with some bright colors and amp it up a bit. Whatever floats your boat, baby! Then, following your graph, use the straight edge and paper to draw the design on your board. You could use tracing paper or carbon paper, but generally the designs are pretty simple, so I just lay them out with a ruler. 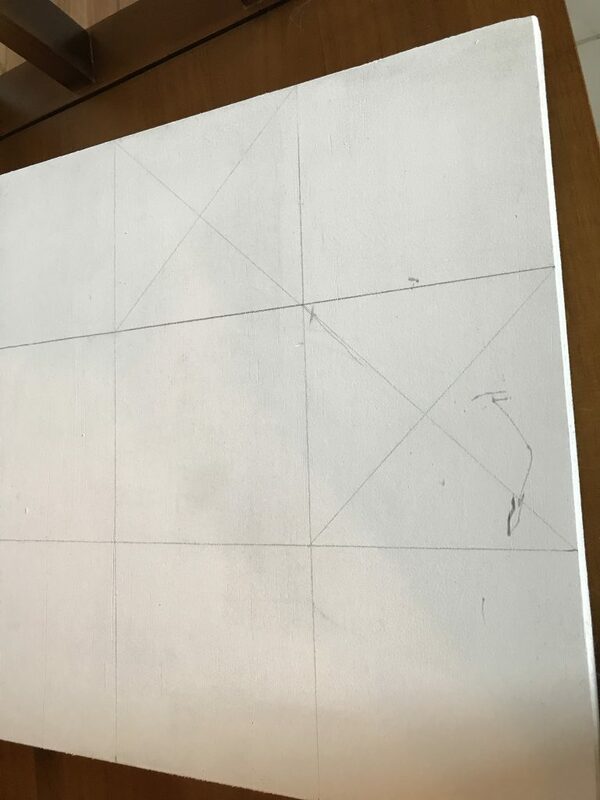 Note: If your board is not exactly 12″ square, that’s OK. Just correct the measurements on each section by a few 1/8ths of an inch to keep everything symmetrical and it will look fine. Keep your pencil lines very light so they won’t show through the paint. Diagonal lines are the trickest to line up correctly and it can be very obvious if you get them off in adjoining squares, so watch your angles to get them nice and straight. If you have an angle that goes through two sections, I usually do it as one continuous line so they are exactly the same. Almost ready to paint. Pick a section and use your Frog tape to mark it off carefully. Make extra sure you press down the tape along your paint line so that no paint seeps under the tape. The trick is start painting in the middle of the tape and continue your stroke onto the wood. You always want to paint AWAY from the tape, rather than TOWARDS it, then you’re less likely to get any paint seeping under the tape. It will take 2 coats with most colors, but some will take 3. 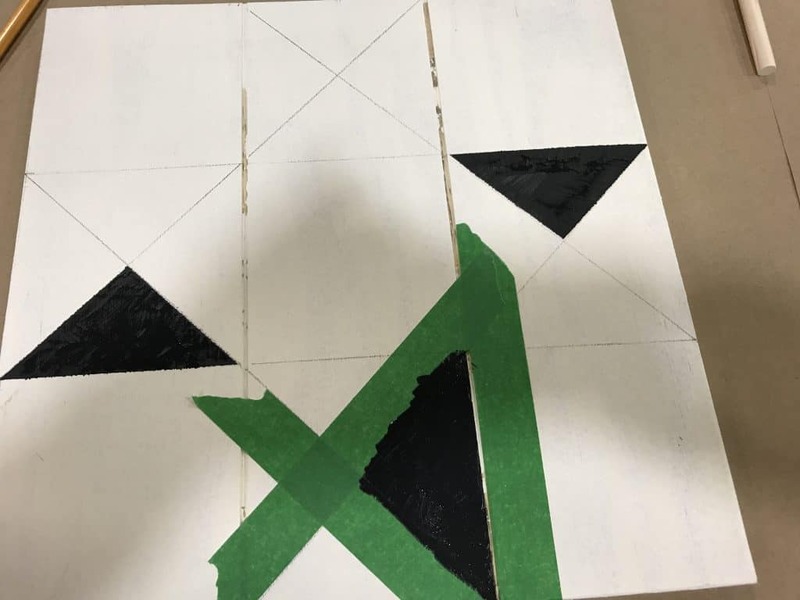 Work quickly and while the paint is still a bit wet, gently peel up the tape and toss it immediately in the trash, so it doesn’t smudge your board. If you do notice any seepage or if you get a dab of paint somewhere, use the baby wipes to get it off while wet. This board was from my class and it was pre-cut with some router lines in it for extra interest. Just thought you might be wondering what those are! Now pick an area an opposite edge to mask off and paint. Then just keep masking and painting, alternating sides as best you can. You can tape over some of the recently painted areas if you need to mask off another section, just be careful not to press the tape down too much on the fresh paint. Acrylic paints usually dry in 5-10 minutes or so. You might need to take a tiny, fine brush to fill in any missed spots or a bit of white paint to cover any boo-boos. At this point, you can simply be done if you like, Or if you want a more aged and antiqued look, you can sand different areas, or even apply a light coat of wood stain to mute your colors. I have tried a bit of sanding with good results, but I haven’t tried the stain. If you stain your wood, you’ll want to add a bit of linseed oil to dilute the stain and keep the wood from drying out. To get a whitewashed look, I’m betting you could mix up some white paint thinned with linseed oil for a cool beachy effect. 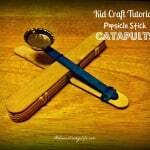 Since I do crafty posts so rarely, I’m going to link up a couple of other quick and easy crafts you might enjoy. 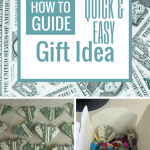 These are all things that would make lovely holiday gifts or decor items for your own home. Tied fleece blankets – I have two patterns: The Monster Blanket or the Chevon Blanket. These are adorable! I love how simple this can be, and making multiple of these boards can really make a nice gallery wall if you have some empty wall space to fill up. Thanks for the amazing post! Thanks! I’m so glad you liked them. I really enjoyed making those and I like having them on my walls.